Robert L. Roth, Managing Partner at Hooper, Lundy & Bookman, P.C. 's Washington, D.C. office, advises clients on matters arising under Medicare and Medicaid, focusing on payment, compliance, and licensing issues. He is also a member of the firm's Fraud & Abuse Practice Group. A former senior attorney for the Centers for Medicare & Medicaid Services (CMS) of the U.S. Department of Health and Human Services (HHS), and a former Assistant Attorney General for the State of Maryland, Mr. Roth represents a wide range of clients on federal and state regulatory and business matters. He also represents clients in litigation at the state and federal trial and appellate court levels, as well as before state and federal administrative tribunals, including the Provider Reimbursement Review Board. Mr. Roth is one of the select few health lawyers to have argued before the United States Supreme Court, which he did in Sebelius v. Auburn Regional Medical Center, 133 S.Ct. 817 (2013). Mr. Roth represents providers and other clients throughout the country on matters such as reimbursement, overpayment refunds/disclosure, and coordination of benefits. He also actively counsels clients on complying with the issues surrounding all aspects of the Medicare/Medicaid programs, including the Medicare Secondary Payer (MSP) statute. 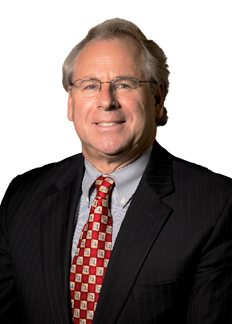 Ranked by clients and peers as one of the leading health care attorneys in Washington, D.C. by Chambers USA, Bob was described as “zealous and committed,” and as “stand[ing] out as having second-to-none knowledge of Medicare Secondary Payer issues,” and as being "very responsive, very efficient and cuts to the chase." Mr. Roth began practicing privately in 1993 following an 11-year career in government, during which he served at both the state and federal levels. At the federal level, he represented the Health Care Financing Administration (subsequently renamed CMS) as part of the HHS Office of the General Counsel. While in that position, Mr. Roth was awarded the General Counsel’s Excellence in Legal Services Award for Outstanding Conduct in Counseling and Representing the Health Care Financing Administration in Medicare Litigation and the HHS Inspector General’s Integrity Award. Earlier, at the state level, Mr. Roth served as an Assistant Attorney General, representing Maryland’s Department of Health and Mental Hygiene on state regulatory issues, after serving the Maryland General Assembly as Counsel to the Constitutional and Administrative Law Committee of the Maryland House of Delegates and the Commission to Revise the Annotated Code of Maryland. Mr. Roth received his undergraduate degree from Lehigh University in history and Latin and his juris doctorate from Syracuse University College of Law. Mr. Roth’s significant litigation experience includes advising clients through the largest court settlement up to that time in a Medicare reimbursement case. He successfully argued in Monmouth Medical Center/Staten Island University Hospital v. Thompson, 257 F.3d 807 (D.C. Cir. 2001), that the reopening prohibition in HCFA Ruling 97-2, which prevented the plaintiff hospitals from having their disproportionate share hospital (DSH) payment recalculated, was unlawful and that the court had mandamus jurisdiction to hear the hospitals’ challenge. As a result of this decision, 253 lawsuits involving more than 600 hospitals were brought in the United States District Court for the District of Columbia and consolidated under the umbrella case name In Re: Medicare Reimbursement Litigation. Mr. Roth was named one of four members of the Plaintiffs’ Coordinating Counsel, which negotiated a settlement of more than $665 million to resolve the pending lawsuits. Mr. Roth’s client work also includes the successful resolution of OSF Healthcare System, Inc., d/b/a Saint Francis Medical Center v. Thompson (D.D.C. ), where the client was seeking an order requiring the Secretary of HHS to delete certain MSP regulations from the Code of Federal Regulations. Nightingale's Healthcare News, named among the top "Outstanding Fraud & Compliance Lawyers."